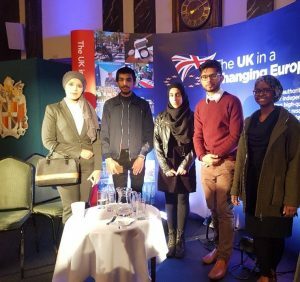 Last week, members of the JCC Student Council took part in the ‘UK in a Changing Europe – BREXIT’ event held at the Birmingham City Council Council House. Hosted by Adrian Chiles, this was an event designed to enquire, discuss and analyse Britain’s future relationship with the EU. Well done to all students who took up this opportunity – encompassing many of our British Values, particularly around Democracy, the Rule of Law, and Individual Liberty.